Square caught my attention this summer, when I came across a VentureBeat article called Square credit card readers now being sold at Walgreens, FedEx Office, and Staples. A credit card reader sold at office supply retailers? Basically, Square is a payment system where a small, square-shaped reader plugs into your Android, iPhone or iPad’s earphone jack, and allows you to process credit cards, as if you had a POS machine. The reader is free, after a rebate. You can choose fixed or flexible pricing, either a flat rate of USD 275 per month, or a variable rate of 2,75% of the charged amount per swipe. Payments taken during business hours usually become available in your bank account the next business day. Pretty neat, especially when compared to all the hoops a business must jump through to get a POS machine in Turkey. Generally speaking, a business that wants to obtain a POS machine and the ability to accept credit cards in Turkey, must first fill out an application with a bank and open an account there. Then come the negotiations, which are not really negotiations but terms dictated by the bank about all the payments the firm has to make to the bank. Types and amounts of payments vary by bank, common ones are POS machine charge, POS machine setup fee, bank commission rate for the charged amounts (as high as 4%), service fee, loyalty program fee, account processing fee, to name a few. There are also some penalty fees, if the monthly amount charged through the POS machine is below the quota assigned by the bank. If there is an agreement, the applicant then must provide the bank with all kinds of documents such as list of authorized signatures, a certificate of good standing with the Chamber of Commerce, copies of the national ID cards of all the partners , a copy of the tax registration certificate, a certified copy of the article of incorporation and myriad others. After doing all this, if the applicant is deemed worthy, it is time to sign a bulky agreement with the bank. My favorite part is where most banks tell you that they cannot give you a copy of the signed agreement, so you have no idea what you just agreed to, and in case you need to look it up in the future, well, tough luck. Naturally, after comparing the Square to all that hassle just explained above, I thought that it was a pretty good, possibly a disruptive innovation, especially for small businesses and individuals. It turns out, I was not the only one. Over the summer, Square signed a deal with Starbucks where customers at participating U.S. Starbucks outlets would be able to pay for products using the Pay with Square app. Then at the end of August, Square announced a new partnership with AT&T, making Square readers available at 1,000+ AT&T retail stores all over the U.S. 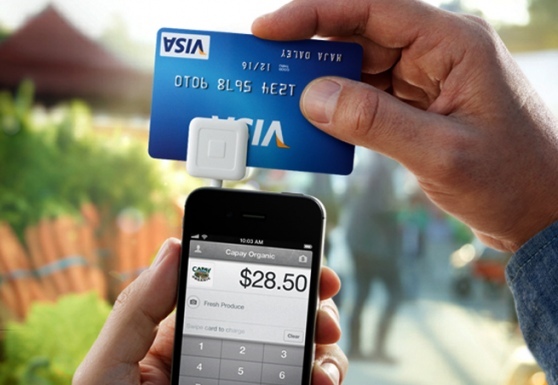 So, Square is doing well in the U.S., but I am more interested in how, if at all, it would work in Turkey. What does this innovative payment system mean for developing countries like Turkey? Could it become mass market, or would it merely be just another cool gadget, only used by few? Ignacio Mas of CGAP, an independent policy and research center dedicated to advancing financial access for the world’s poor, housed at the World Bank, talks about it in Are Lower-End Shops Ripe for Electronic Payments?. CGAP’s analysis rings true. In developing countries like Turkey, cash will continue to be king for a long, long time. Visions of a cashless society come up more and more often in business circles these days. The cashless society idea, where everyone uses a credit card, debit card, NFC or a gadget like Square instead of cash, sounds cool and may work in a country like Sweden, but around here it is nothing but a pipe dream, at least for the near future. Sure, credit card usage has grown at an impressive rate in Turkey over the past few years. But a significant number of credit card owners are “revolvers“, people who use the credit card to buy things they otherwise would not be able to afford, as a substitute for a loan, if you will, instead of “transactors“, who simply use the credit card as a convenient payment tool. If you include transactors using the “installments” method of payments, a phenomenon unique to Turkey, number of revolvers becomes even more significant. So, the large number of credit card users does not necessarily mean that people prefer credit cards and are willing to abandon cash. It just means that they enjoy spending money they do not actually have, even if the cost of doing so is high. With its huge underground economy, uneducated customer base, low level of trust in financial institutions and a widespread habit of tax evasion, I do not foresee electronic payments winning over cash in Turkey anytime soon. Anybody who tells you different is trying to sell you something.